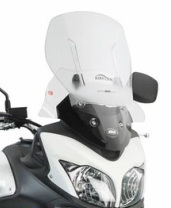 We carry the complete line of Givi windscreens for 2004 and newer V-Stroms. Additional shipping charges apply to international orders for windscreens. For international orders please call 509-521-7040 or send us a contact form so that we can give you an exact shipping quote. The airflow is in a class by itself. It is absolutely the best functioning windshield I have ever experienced. To get an understanding why watch the video above. 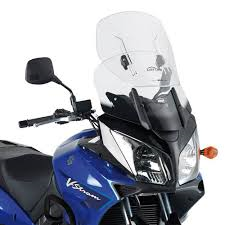 As above, hands down the best windscreen available for the new V-Stroms. NOTE: Additional Shipping charges apply on this item for orders outside the US. Contact us before placing international orders for this item. 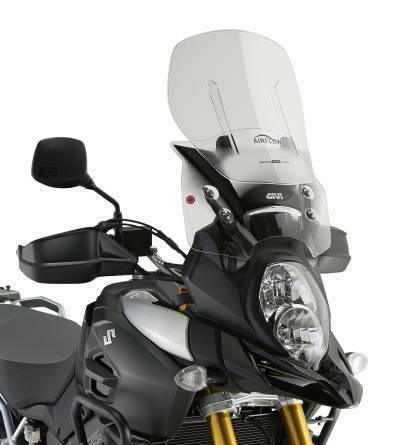 A really good screen for those needing a taller than stock windscreen. 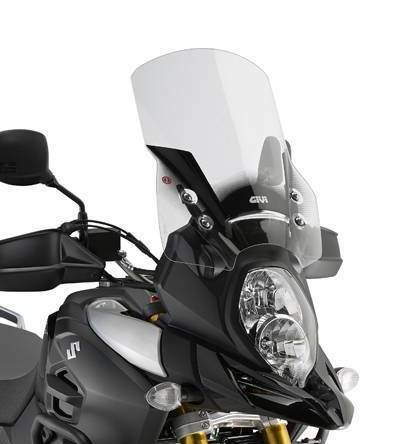 Despite it's high quality material (Lexan, not polycarbonate) and bike specific design, the D3105ST is very competitively priced.